UNCOUNTABLE COSTS: HOW MUCH IS THE BOUNDARY WATERS WORTH? There is serious possibility of opening a sulfide mine in the Boundary Waters watershed, with politicians on both sides supporting it, because it will create jobs. I haven’t heard much about the costs of such an mine. Costs are different from money. For example, we have spent more than a trillion dollars in Iraq and Afghanistan. That’s money. The cost, in dead, maimed, displaced, and ruined families is uncountable, but I would submit it is enormous. Because we can’t place a value on a human life, we don’t, so the money we were told we would spend–a laughable $1.7 billion–was at least four if not five orders of magnitude too low. Before going to war, costs should be understood, but few in Congress understand costs. Without doubt, the mine near Ely would provide jobs, although mining is more than pick and shovel work these days. Mining requires engineering skills, knowledge of geology, and more important, knowledge how to do it safely, which means disposing of the waste in such a way that the environment is not polluted. There are a few of us who think this mine is a bad idea. A really bad idea. One company that may be involved is not American; while that doesn’t make it necessarily bad, they don’t have the deep connection to the Boundary Waters that some of us have. Worse, these types of mines have in every instance been shown to have left toxic metals on the surface that leach into the water and pollute it. The name of the most beautiful wilderness in the Lower 49 is the Boundary Waters. Connect the dots. This region has some of the cleanest water on the continent. I have drunk from the lakes on every one of my 62 trips up there. How many places can we still drink water out of a lake? Fish live in water, too. The second Saturday in May is a special day in Minnesota, for it is fishing opener. I wonder how people will feel about the possibility of far fewer fish, should the mine pollute the watershed. But the mine won’t be a problem, I have been told. I will hear the good-looking young men and women, who sound so sincere, say that there is nothing to worry about. The executives, who have so much money to gain from the mine, will say technology will make this mine safe, and there won’t be a problem. The jobs that will be created will be so important to the Iron Range communities, where many are short on money and long on clean water and forests. Everything will be just fine. Listen to the reassuring voices. Look at the handsome young people. Watch the pictures of cute deer drinking out of a lake near the mine site. Everything will be fine. Until it isn’t. Let me repeat that in a different way. Everything is safe until it isn’t. That goes for Challenger, Columbia, Tenerife, the Comet, Electra, and DC-10, shipping oil out Prince William Sound, pipelines through Arkansas, Deep Water Horizon, Chernobyl, Fukushima, and I suspect Keystone XL. When the you know what hits the fan, suddenly people will be sorry. “It’s an Act of God,” “we couldn’t have possibly foreseen this,” “we will do everything we can to make you whole.” And the company will file for bankruptcy. I wasn’t born yesterday. I could name dozens of other catastrophes. But then it will be too late. It will NOT be an Act of God, any more than rheumatic fever or tuberculosis was, death from infected hangnails, or acute lymphoblastic leukemia. Complex systems will fail. It is a matter of statistics and probability, and there are not many who understand these concepts. 1. How much is the Boundary Waters Canoe Area Wilderness worth? 2. What is the probability that the mine will pollute, and how are you computing that probability? The first question has no answer, and the second is difficult to compute. We could do an Expected Value analysis on the Boundary Waters. We could add up the tourism dollars, the cost of the timber, the fresh water, the campsites, and multiply it by 1, since it already exists with probability 1. We could have the money the mine puts into the hands of the people of northern Minnesota (not how much ore is there, but how much money goes to the locals, which is a much smaller number) and multiply it by the probability it will cause no problem, which from past experience, is fairly close to zero, and get another expected value. We then compare the two. 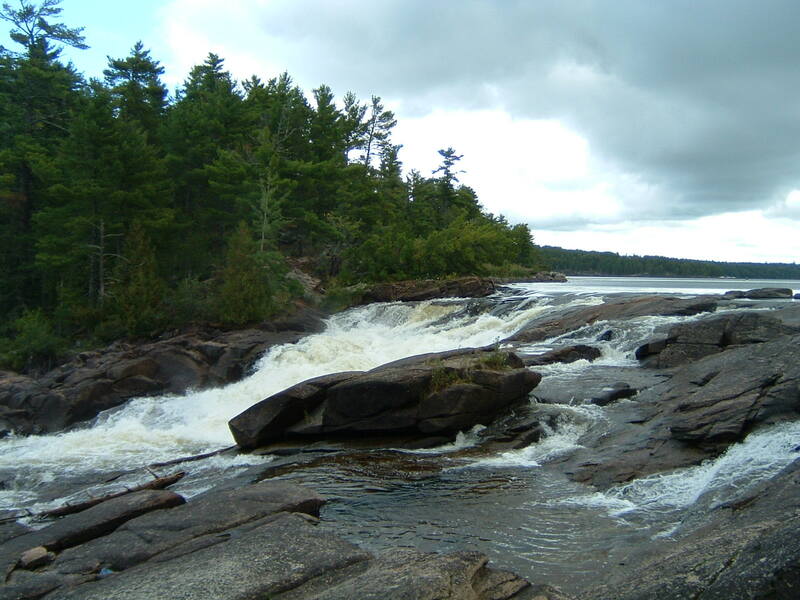 But the first expected value is too low, because no price can be placed on the Boundary Waters. We can’t place a cost on certain things, like people’s lives, unless we want to use human trafficking as a means. Is this what we’ve come to? Because these mines have ALWAYS had problems, it is incumbent upon those supporters to show why THIS mine will be different. But let’s get back to what we can’t measure–the value of wilderness that is nowhere else this accessible, this pristine, and this transformative of people. No, we can’t say what that is worth, but it sure is worth something. It falls into the category of “It ain’t for sale at any price,” and that is what some of us are saying. There are a few other things that ought to be pointed out as well. First, Ely, one of the towns that would be impacted by this mine, was once populated by miners, whose kids went to work in the mines. There is a community college in Ely–Vermilion Community College–where the last Thursday in April is a scholarship banquet, where $42,000 is donated to students. I am responsible for 3 of those scholarships. In 2007, I gave a scholarship to a young woman, whose parents came to the banquet. Her father worked in the mines on the Iron Range west of Ely, where the mine tailings are, for lack of a better word–ugly. He was so proud of his daughter, whose education would have her not go into the mines, the way he did. Now we are offering jobs back in the mines. We seem to be going backward. 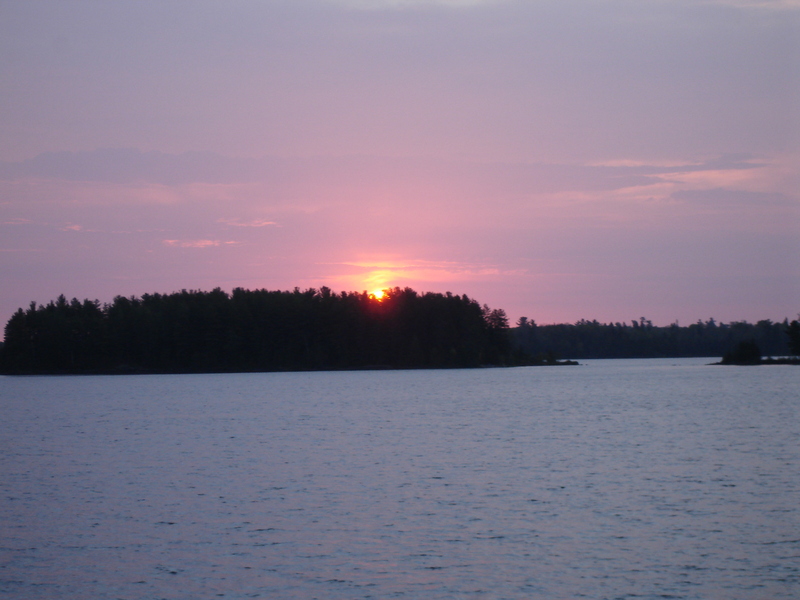 Second, many call the Boundary Waters “God’s country,” a term used for unspoiled wilderness, Up North, in Boreal Country. I wonder how many believers up there think that mining in a sensitive watershed is in keeping with Creation. Just a thought. The third issue I have is one that we don’t discuss in this country, because the major religions don’t believe in it, and many people don’t either. We need to have fewer children. If we had fewer children, we wouldn’t need to find so many jobs for them. The notion that somebody can finish high school, go into the mines for good money (so long as the mine keeps working), buy a truck, a snowmobile, a boat, have 5 or 6 kids, lots of debt, and expects the kids will be able to do the same thing–and their kids, too–just doesn’t apply any more in this country. I’ve got skin in this game, although I have no kids. I think we leave some areas off limits to mining, just as we limited the dams in the Boundary Waters, even though it was a matter of cheap power. Really? Cheap? 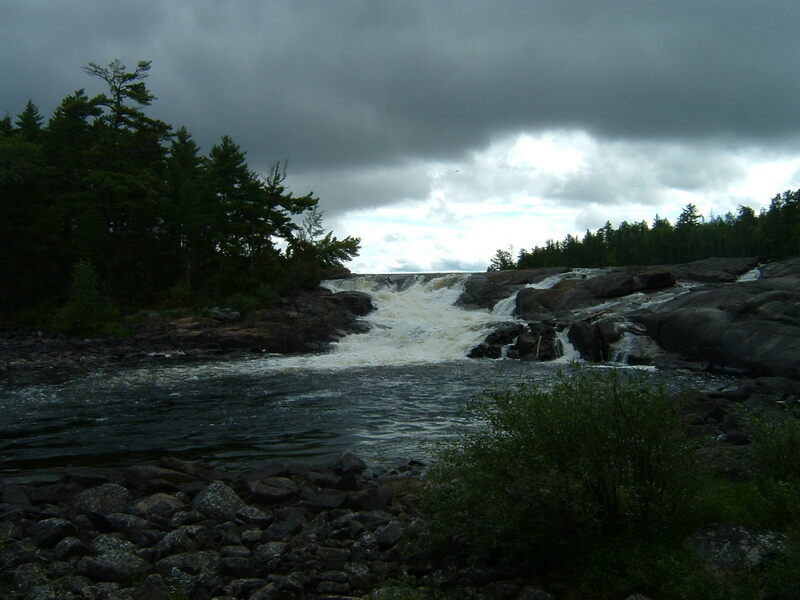 What would the cost have been had we destroyed Curtain Falls and flooded Crooked Lake and Lower Basswood Falls? It almost happened. Curtain Falls today: Crooked Lake at top; Iron Lake at bottom. The Friends of the Boundary Waters, of which I am a member, is going to fight this mine tooth and nail. So is Steve Piragis in Ely, for whom preservation of the water resource is his livelihood. I will support them. The Friends wants to expand its scholarships too, so that more young men and women are trained to do jobs that wilderness management requires. That is where the money ought to go. It’s a harder slog to fight this mine as it was recently for me to get into Angleworm Lake in 3 feet of snow. I’m not young, handsome, or have a reassuring voice. I am in the minority who dares say we have too many people and that polluted wilderness will not return. I’m looking at 10-100 years, not next week’s pay check. I’m thinking of those like me, who need wild country to find themselves and to think thoughts that can only be answered in God’s country. I may not win. But I am going to the mat on this one. 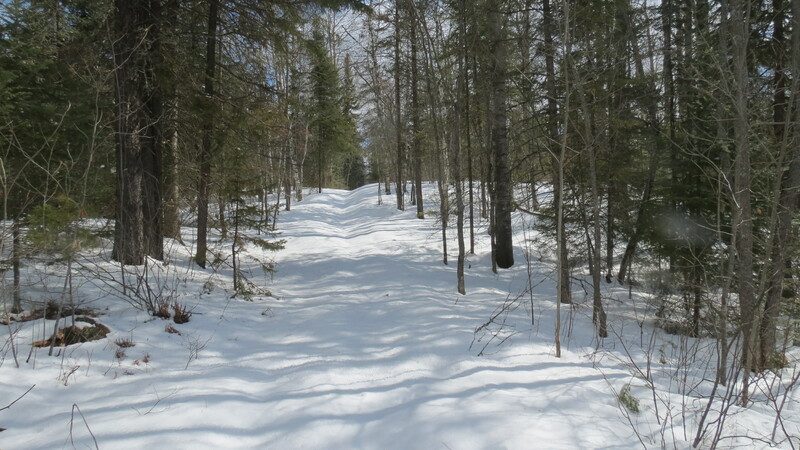 This entry was posted on April 30, 2013 at 16:27 and is filed under BOUNDARY WATERS/QUETICO, UNPUBLISHED OUTDOOR WRITING. You can follow any responses to this entry through the RSS 2.0 feed. You can leave a response, or trackback from your own site.